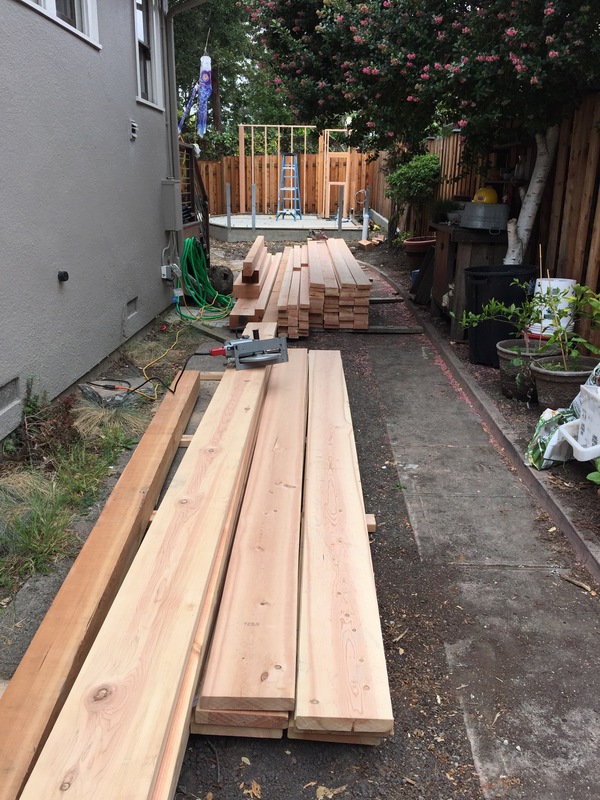 I am excited to see this backyard studio take shape. 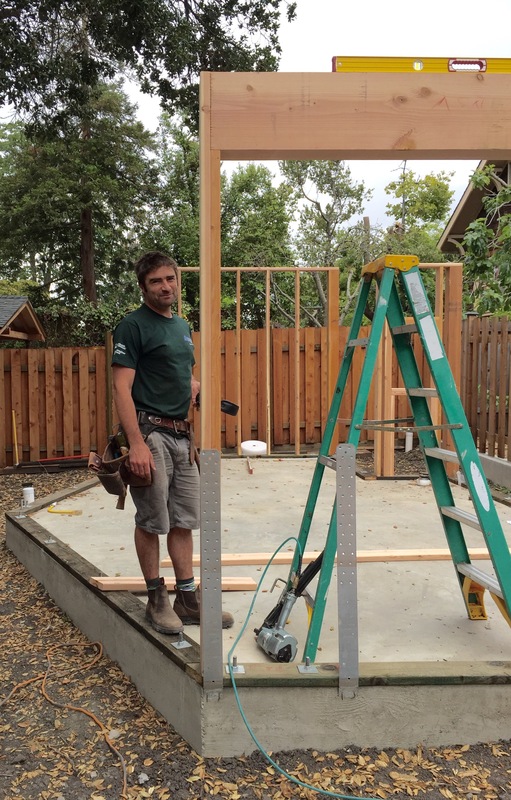 Happy to have a skillful framer and a pile of kiln dried FSC certified lumber. I stopped by just in time to help lift that big beam into place. 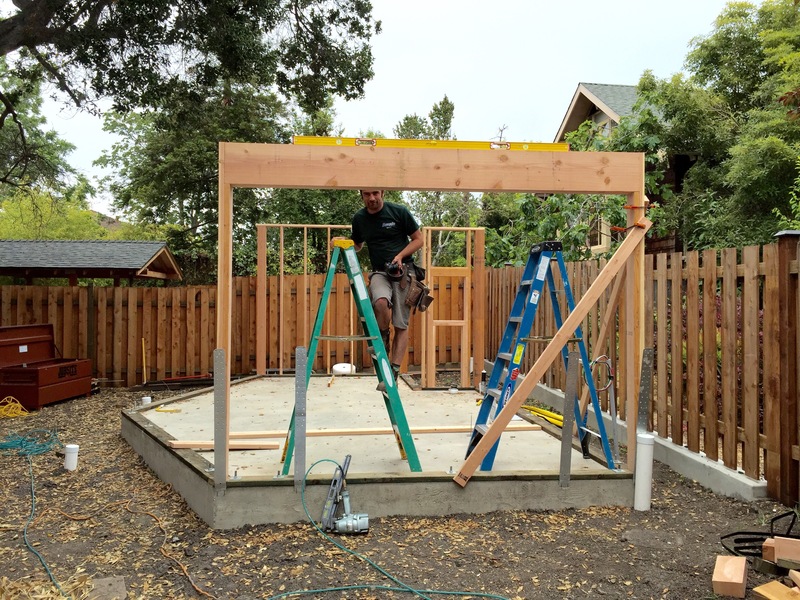 A challenging job for a solo framer. Looks good. Another triumph in the making! BTW, I have those same boots maybe. Mine have the fleece lining. Hard to know if these do too.